Are you ready for my pop quiz? Watch out, it’s tough! Test your knowledge about one of the oldest world faiths that still lives, one that has impacted the history of world religion a LOT. So, do you know the basics? Do you know some trivia that are a bit more specialist about the Jewish people, their faith, their rituals and their scriptures. This is a controversial quiz that sparked a LOT of debate where it was first published. This is no doubt due, in part, to Jewish culture: debate is part of the Jewish tradition. I made this quiz in good faith, based on what I’d learned about Judaism in all it’s variety at university. What I failed to account for is the main trouble of Judaism today: that in all it’s variety, Judaism hosts such a breath of ideas on what it means to be Jewish that it’s not really possible to make a quiz like this and have anybody agree on the answers. The result is interesting though: it shows just how much people who feel themselves to be Jews differ among themselves. A quiz is the most superficial type of ‘test’. It’s easy to grade, but doesn’t catch nuance very well. This quiz suffers from that same problem. This means that in order to make a good score, and fill in the answers correctly, is partly a matter of knowing language nuance, and connecting those nuances with the facts you know. Sabbath: the day of worship for Jews, starts on Friday at sundown, and lasts through most of Saturday. So it’s not merely Saturday as the quiz suggests. However, among the options given, Saturday is the best answer. The most significant event in Jewish history would be the destruction of the temple for religious Jews, the foundation of the state of Israel for most Israelis, and the holocaust for most secular Jews. I went with the first, because the destruction of the temple is a historic landmark that went on to define Judaism. Yom Kippur is the most important holiday in Judaism, in the way that Christmas is the most important holiday in Christianity. That is: looked at from the side of popular turnout, instead of religious significance. Specifically, Yom Kippur gets the most synagogue turn out in the US and the most PR but religiously it does not come close in significance to the three pilgrimage festivals in Judaism: Pesach, Shavuot, and Sukkot. Note that officially, in Christianity, Easter (which is the Christian form of Pesach) is also the most important festival. In my quiz I went for the social reality of popularity, as would most Jews. Where do most Jews live? I ended up deciding it’s a tie between the USA and Israel. We know more for certain about Israel than about the USA. In absolute numbers Israel hosts 5,703,700 Jews according to Wikipedia and the Jewish Databank – that includes Jews living in the occupied territories. However the Wikipedia page about the population of Israel shows only 5,569,200 Jews. That difference is not significant for us though, because the USA had only 5,275,000 Jews living in it in 2010 according to the census. When I created this quiz I used the following: Worldwide the highest number of Jews live in the Americas. According to a Jewish website there are about 13.3 million Jews worldwide (as of 2001), of which 4.95 million live in Israel and 6.8 million live in North America (mostly the US), 1.6 million live in Europe (Eastern and Western) and 0.6 million live in South America. In Israel they form the majority, while everywhere else they are a minority. In absolute numbers there are probably more Jews in the USA than in Israel. The foundation of Judaism is a very difficult question to answer. It depends, in part, on how you define Judaism. Scholars on the topic consider there to be a difference between the Abrahamic Faith, and Judaism proper – the latter starting with the destruction of the the Temple in Israel. Before that destruction Judaism had a center like Islam has: rituals which depended on place, the temple of Jerusalem (comparable to Mecca for Muslims). After the last destruction of their temple, Judaism had to reinvent itself, and synagogues, Rabbis etc. developed. However, the basis of Judaism in a people: born and converted Jews, did not change. Conversion did become less and less common as the centuries went by. Only since the second world war has conversion become an accepted practice again, among certain groups within Judaism. This is why none of the possible answers on what defines a Jew are valid for ALL of them. The distinction between Abrahamic Faith and Judaism is not one that most Jews would accept, so in the quiz I went with the start of the Abrahamic Faith, which is based on the life of Abraham, who lived in Mesopotamia. I think the question says it all, but this is the question I got most comments on. Most Jews believe in God, however, there are born Jews who become atheists. They are still Jews, because they have a Jewish mother and were brought up in the community, but they simply do not believe. I think most of them would consider themselves secular Jews, atheist Jews, or agnostic Jews. In other words: they’re still Jewish. I met one of them during the Judaism class I took in College. She was very clear: she was Jewish because that’s just who she was. Born and raised. However, she did not believe in God. I don’t know if she visited temple. The traditional pattern is that a scholar turned atheist, who still did all the Jewish rituals, would continue to be considered Jew. 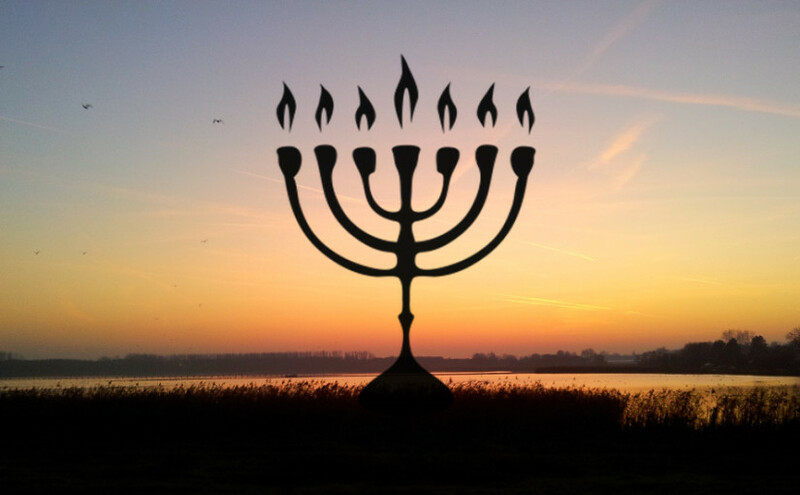 What’s the most important Jewish Holiday? See also: gift ideas for Jews.